Dakar is normally tranquil. The last time any violence was reported was when two rival football club supporters clashed, causing a stampede that led to the death of eight fans. LAST Thursday, April 19, the normally tranquil city of Dakar faced one of its extremely rare “glitches” or disruptions. Protesters took to the streets of Dakar while the National Assembly, Senegal’s equivalent of a Parliament, debated a new law that would add a criterion for candidates running in the presidential elections next year. The news agencies were vague in reporting the number of pro-testers that day, choosing to call it “hundreds” and leaving it at that. A diplomat who had ventured out to town that day said that in total it might have been about 400 to 600, but it was difficult to say because the protests were in different areas. The market of Sandaga saw a number of protesters; a handful but vocal group were seen at the Tilene Market; and reports from the historic city of St Louis indicate that the largest group of protestors were to be found here and not in Dakar itself. What was happening on the ground was far removed from what was being reported in the international news. This in itself is nothing new — when Kuala Lumpur was deluged by the Ber-sih supporters in yellow T-shirts, the international reports that went out made it seem that not only was there extreme violence on the streets, but that the whole country was at a standstill. It is all about perception. The news channels are not twisting the truth. Their reports are normally straightforward. In the case of demonstrations in Senegal, if they said there were protesters in St Louis, or in Sandaga, the response of the average viewer would be the same: “where?”. So their reporting has to indicate the city and the country. 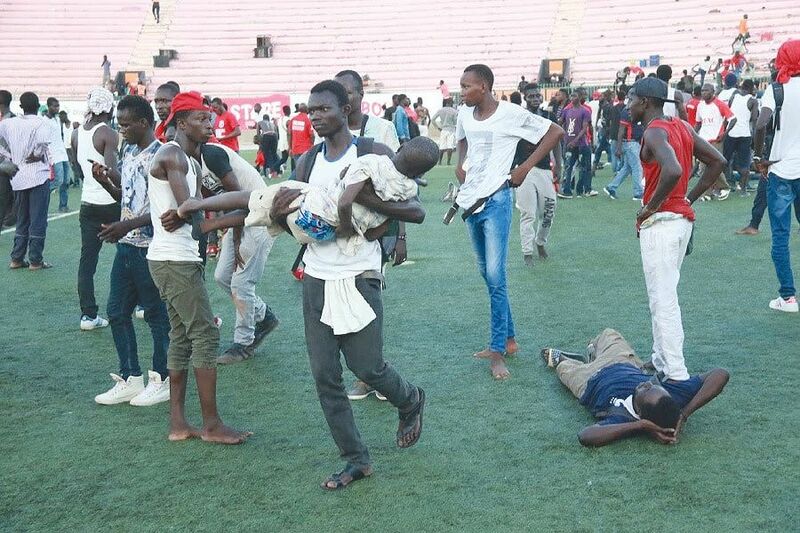 Our mind then supplies us with a general assumption that if what we are seeing is happening in a small market town in Dakar, then it must also be happening throughout the country. The Russian ambassador to the United Nations argued last week that the images being projected again and again by the Western media of Syrian citizens suffering from the effects of chemical weapons use, was an “inferred” situation, and not reality. He may well have a point, but in a world of extreme finger-pointing, we will not know for sure what the truth is until the team of weapons inspectors actually finish their work and write up their report. It used to be that the power of words had the ability to move us. But you had to find a good enough writer who would be able to touch your very soul with his writing. These days, the power of images is even more absolute than any piece of writing can evoke. It was those haunting images of people fleeing from civil conflict that moved then US president George H. Bush to commit American ground troops to Somalia; it was the faces of extremely undernourished and starving children that prompted an outpouring of donations and funds to fight famine in Africa; and who can forget the snake-like line of people making their way from the Rakhine state in Myanmar to Cox’s Bazar in Bangladesh? The power of moving images is today unrivalled. Tell someone something and they might likely forget it within the day. Show someone something, especially a video, and it will remain with them forever. Malaysia’s impending general election will be no different. In fact, the social media war has already started with YouTube vi-deos and viral footage getting into every home and phone. Every politician worth his salt will need to be a video star rather than a podium speaker, in order to get the message across. This is the age of the moving images. Back here in Senegal, there was very little doubt even before the assembly converged to discuss the bill that President Macky Sall’s latest reform of the electoral process would be adopted by the assembly, where his ruling coalition holds 90 of the 150 seats. There was also the goodwill generated by the president when in 2016 he proposed the reduction of the president’s term from seven to five years, and limiting the number of terms served to only two. In Dakar city itself, there was very little disruption, with the city under the watchful eye of the Gendarmerie Nationale, or National Army. Many in the diplomatic corps kept close tabs on the security situation, however, not because they were worried that violence would erupt in this otherwise peaceful West African country, but because April 19 was also the date the British embassy was scheduled to host a reception for the Queen’s anniversary. With the British embassy and residence in the same quarter as the National Assembly, naturally, guests wanted to know whether it would be possible for them to attend the garden party in honour of the Queen, or stay away from the area altogether. As it was, there was little to worry about, and the high turnout at the British ambassador’s residence was true testimony of the guests’ trust in a country that has never borne witness to political carnage in 58 years of independence. It was, to quote Shakespeare, much ado about nothing.